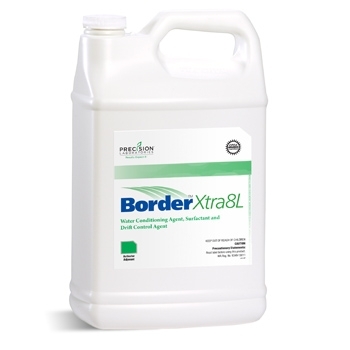 A patented, liquid activator adjuvant formulated to maximize crop protection performance on a wider range of weed species by maximizing adhesion of the spray solution to the leaf surface, while providing required amounts of ammonium and sulfate ions for improved uptake. Provides 8.5 lbs of ammonium sulfate plus the optimum 8 oz level of HPG polymer technology. Per volume: 2.5% v/v (2.5 gallons per 100 gallons of spray solution). Provides 8.5 pounds of dry ammonium sulfate equivalent plus the optimum 8 ounce level of HPG polymer technology.